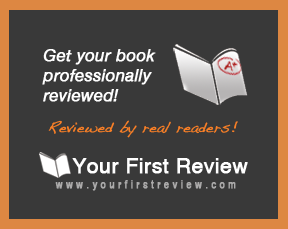 Your First Review includes a professional review of your book by one of our review specialists. Our review specialists are all avid readers and prolific book reviewers! With your order, you receive both a written review, and a seven-point summary “report card” that identifies the strengths & weaknesses in your manuscript. Although there are structured evaluation guidelines provided to each reviewer, the unique review created is not a stock or mass-produced review. All reviews are posted on our website, and at that time you have the option to send out a link to the review in its entirety automatically on your Facebook or Twitter account. You will also receive instructions on how to add the review as an Editorial Review on Amazon. We can also post your review on our reviews page. First Draft – Your First Review can point your manuscript in the right direction! Final Draft – Ideal before spending money on printing or e-book conversion! Released to Market – Your First Review can be used as a marketing tool!